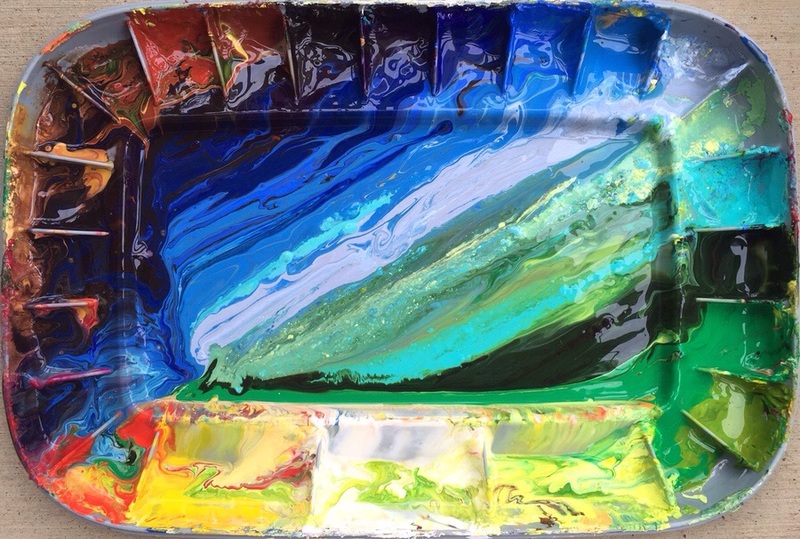 For my summer travels and Plein Aire, I thought it would be handy to make a my own compact watercolor palette. This was a good tin for me to use because I love dark chocolate! I flattened out the sculpey in the tin (the lid has a very thin layer), found an object to poke the holes, baked it according to instructions, sprayed a glossy clear coat on the sculpey, and squeezed my favorite colors into the holes. “Life is a box of chocolates. You never know what you’re going to get!” Forest Gump is one of my favorite movies, it couldn’t be helped! 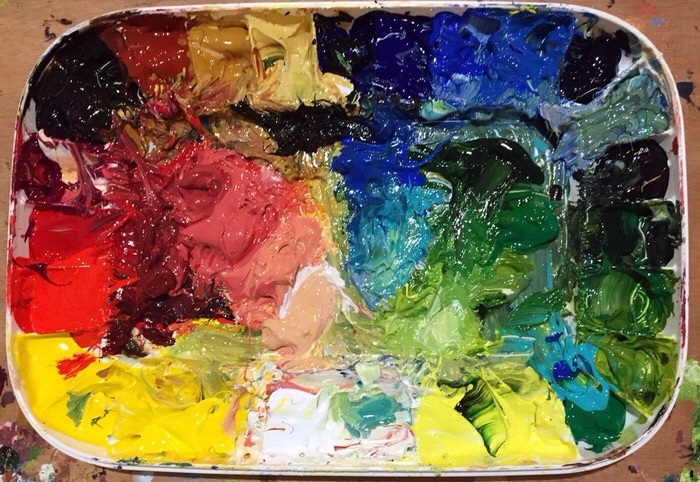 I noticed my palette is looking very juicy and colorful for my Lilly Pad paintings! 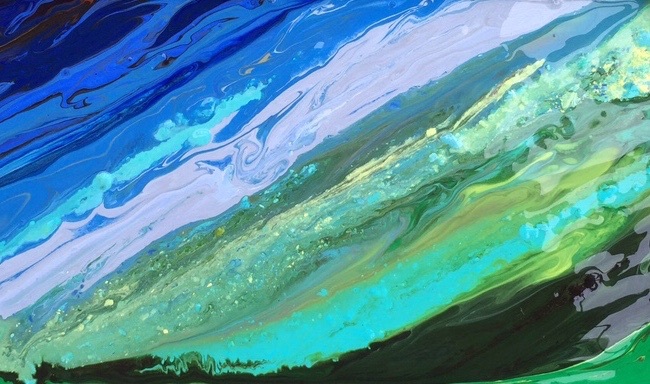 I use Golden Open Acrylics and a Mijello Palette that seals. 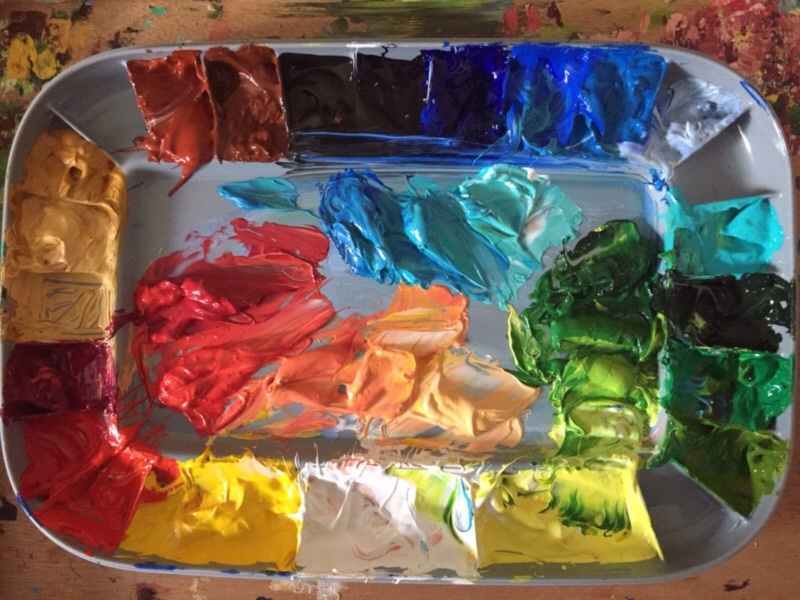 I can keep a palette going for a year or more if it gets regular use, refilling and maintenance. I don’t put water in the palette like other acrylics, that would be bad news! It’s the advantage of Golden Opens. The paint doesn’t skin over, it gets thicker, and impasto pasty gooey! That’s what I love! I was accustomed to oils and I use it the same way.